It runs in the cloud and is available wherever you are. Even on your phone. Let us show you how Slides helps you make better presentations. Guides help keep your content aligned. Drag to select multiple blocks at once. Slide layout is precise and flexible without sacrificing ease-of-use. The media library makes it easy to reuse and organize uploaded assets. There's a built-in library of shapes and symbols to extend your visual language. Custom templates can be saved in the User tab. Speed up your workflow with slide templates. If you know some CSS and HTML you can turn on the developer mode for even greater customizability. Learn more. You can present live to an audience anywhere on the globe. When you change slides, they follow. The speaker view shows the next upcoming slide, your speaker notes and a timer. Use your mobile phone as a remote control. Simply tap or swipe to change slides. Presentations can be downloaded for offline use at the click of a button. Embed presentations anywhere on the web. Learn which presentations that are performing well and why with analytics. It's also possible to export to PDF or HTML. Great for printing or archiving. All in all, you can rest assured that your presentations can go wherever you need them to. The Team plan streamlines your team's presentation workflow. It lets you provide easy access to the assets your teammates need in order to efficiently and quickly create presentations. Images, videos and slide templates can be shared with all of your team. The theme editor lets you create custom presentation themes. All team members have access to these themes and you can pick which one that should be used by default. Team analytics gives you insight into which presentations that are performing well across the whole team. Invite teammates to collaborate on your presentations. Learn more. Teams get a custom subdomain, like team.slides.com, where all Slides branding can be replaced with your own. Why should my team use Slides? Since Slides runs in the cloud your team can get going in no time, from anywhere. In-editor access to shared assets reduces friction and allows everyone to work more efficiently. Ensure that your team always adheres to branding guidelines by creating custom presentation themes. Your team accesses Slides through a white labeled subdomain. The team homepage lets you keep up with what your team is working on. Teammates can easily work together, leave feedback and even reuse each others decks. 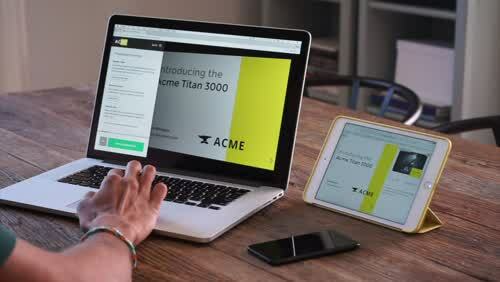 Slides is a subscription service, billed either monthly or annually. Teams pay based on how many members that are added. Let's take a look at our plans. There's two paid plans for individuals, and one for teams. We also have a free plan with a limited feature set. Join more than 800,000 members. Sign up now.